Oscar Bucher is an award-winning ceramic artist who has been working with clay for over 50 years. His pieces have been exhibited in numerous museums and galleries throughout the United States, Europe and beyond, including the International Ceramic Competition in Faenza, Italy and the Fletcher Ceramic International in Auckland, New Zealand. Raised in Switzerland, Bucher completed his studies in business /accounting. He worked as an auditor for Arthur Anderson accounting firm in Milan and Paris. Not finding the work fulfilling enough after four years Bucher decided to return to his first passion: creating with his hands which led to going back to art school to study ceramics at the former Eidgenössische Keramische Fachschule in Bern. 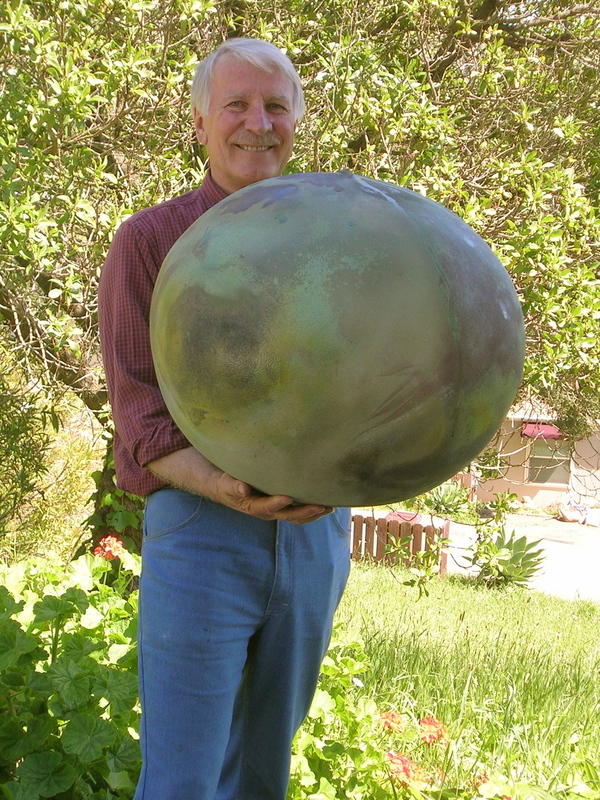 In 1960, he immigrated to Santa Barbara, California to establish his own pottery studio. His groundbreaking work consistently won awards and helped popularize high-fired ceramics in Southern California during the ’60s and ’70s re-emergence of Arts and Crafts movement. In 1975, he established the Ceramic and Glassblowing Programs at Santa Barbara City College and taught as the head of the Ceramic Department for over 20 years. He curated numerous workshops with top artists including Paul Soldner, Don Reitz, Otto Heino, Yoshiro Ikeda, Lana Wilson, Patrick Crabb, Philip Cornelius, and many others. He is well known for his unique glaze treatments, including his own crater/lava glazes, along with a diverse approach to form that includes both functional and sculptural pieces in porcelain and stoneware. As The Santa Barbara Independent noted in 2007, “Oscar Bucher, in particular, shows himself to be the master of many styles and techniques” and his recent work dramatically highlights this life-long interest with an eclectic approach to the craft. He continues to operate his studio in the rural foothills of Santa Barbara and currently exhibits his work at Gallery Los Olivos.